Educator and organizer of the Bayou Painters in South Alabama. 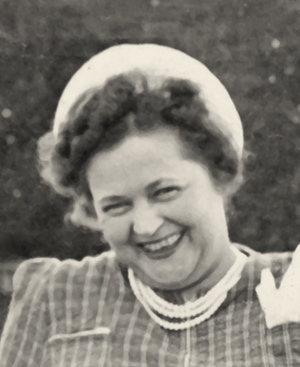 Genevieve Southerland was born in East Liberty, Pennsylvania on May 27, 1895. As small child, she came with her family to Washington County, Alabama. 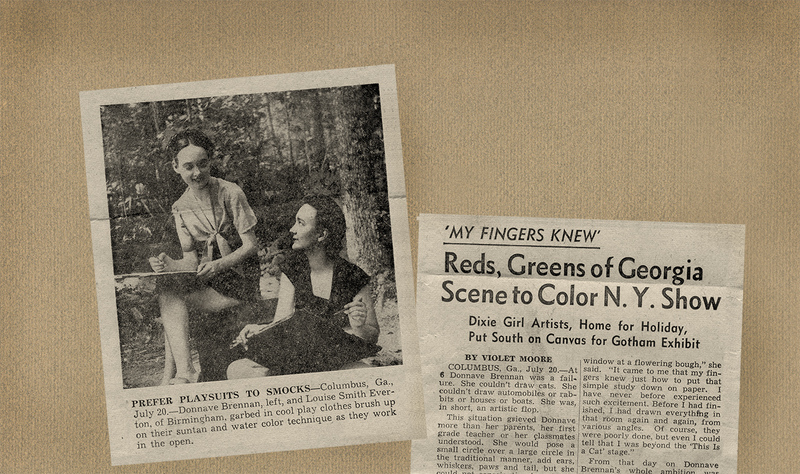 By the time she arrived at the Dixie Art Colony in 1942 she was no novice. 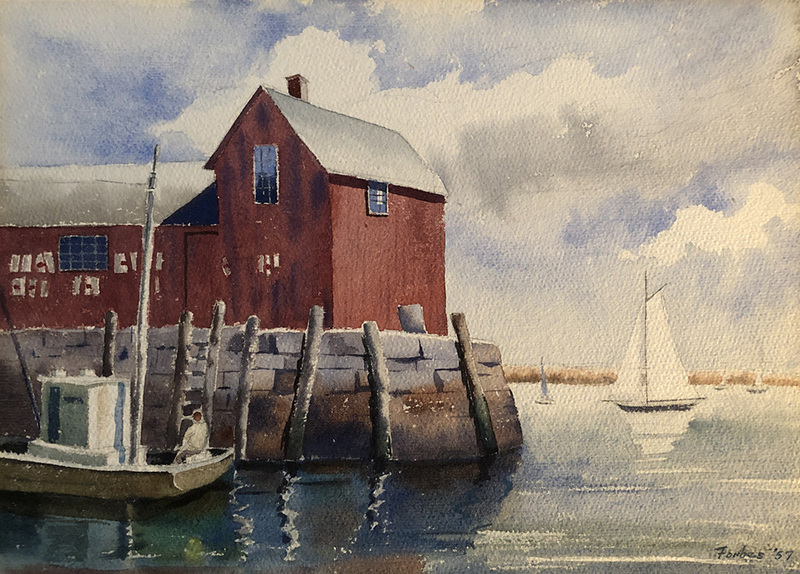 Genevieve began studying art at the age of twelve with Anna Vassar and later studied with Mobile’s most prominent artist, Roderick Dempster MacKenzie. She studied for one season at the Art Students League in New York City. 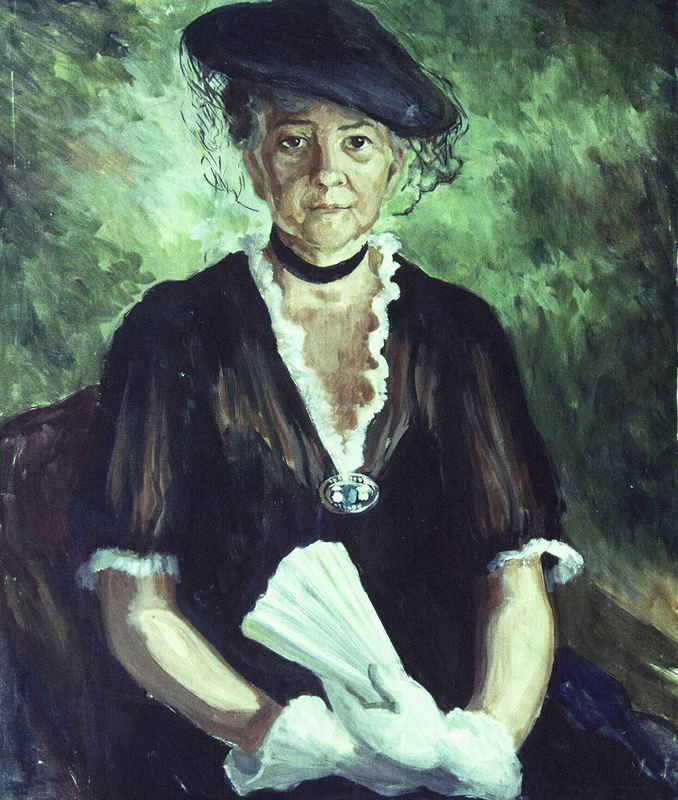 After returning to Alabama, Genevieve began teaching art at Washington County High School and in 1919 married the principal, Robert Southerland. 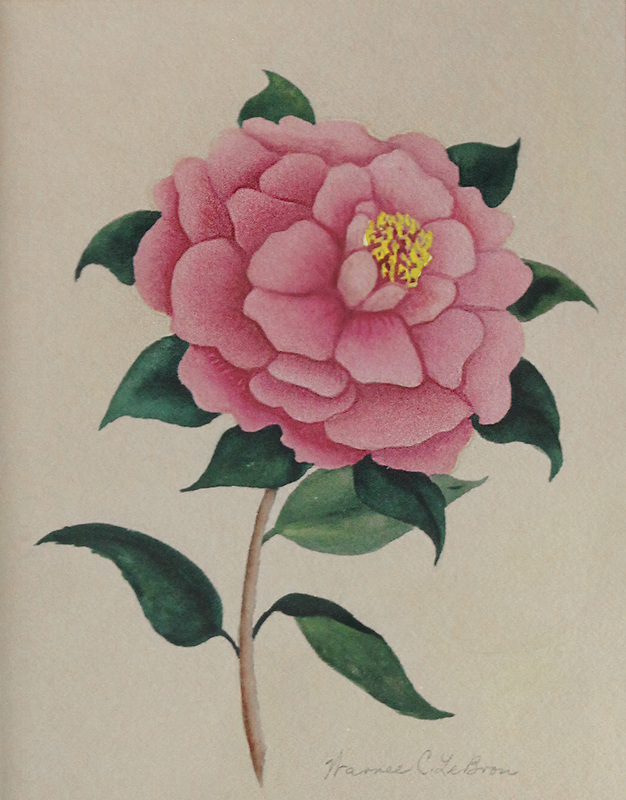 After raising her family, she resumed her art career in 1942, at the Dixie Art Colony. 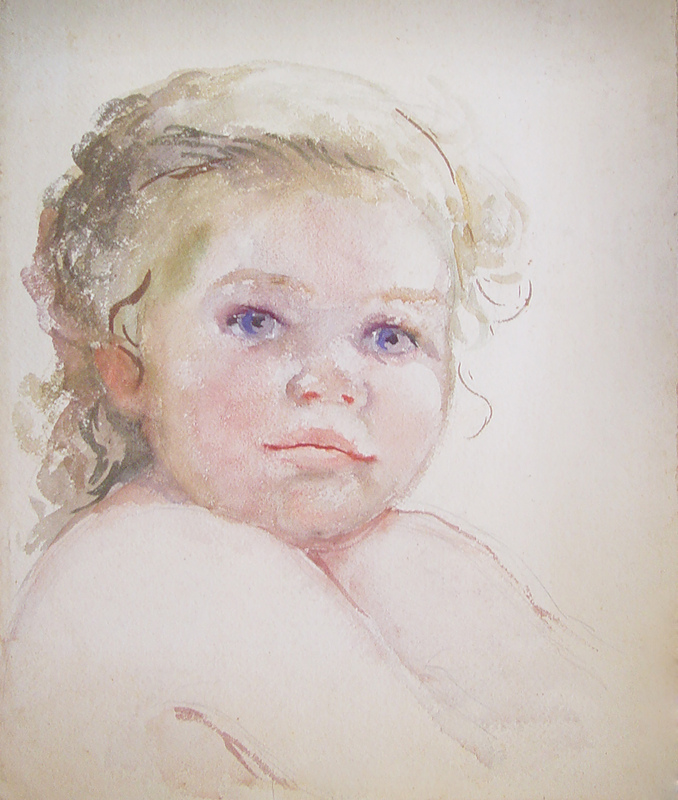 In 1944 and 1946, she received awards from the Alabama Watercolor Society, and in 1945 from the Alabama Art League. 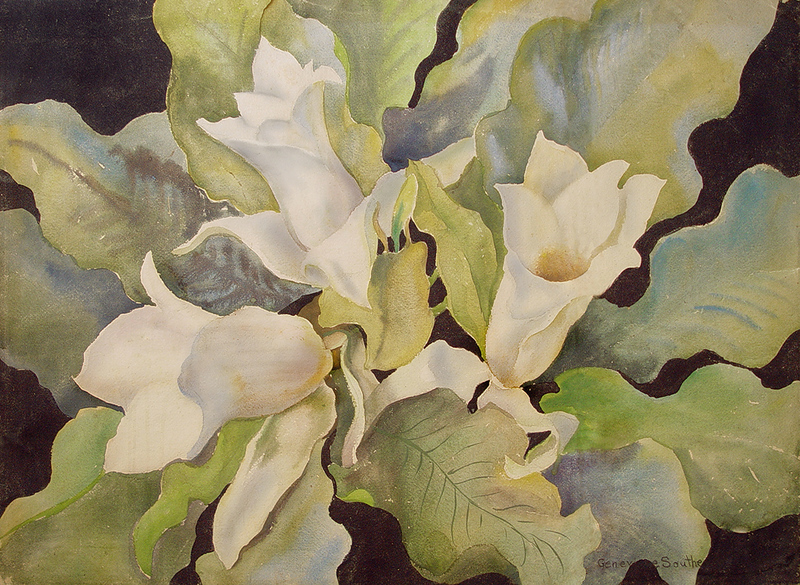 She also exhibited with the Southern States Art League in 1945 and the Studio Guild of New York in 1944 and 1946. 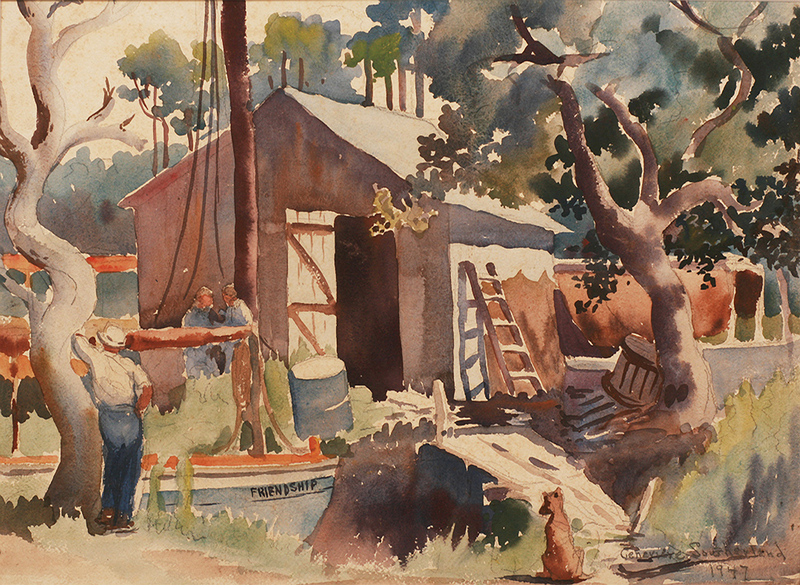 When the future of the Dixie Art Colony became uncertain, Genevieve began organizing another colony in Mobile. The group became known as the Bayou Painters. She passed away on June 30, 1953, the same year as fellow colonists Kelly Fitzpatrick and “Shiney” Moon.